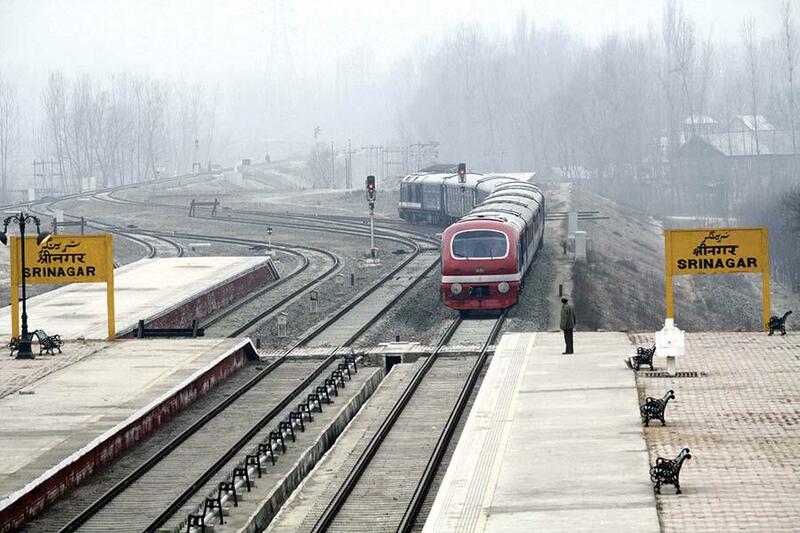 Srinagar, Feb 10: Train service remained suspended for the fourth successive day on Sunday in south Kashmir while trains will chug on Srinagar-Baramulla track. The service was on Sunday suspended between Budgam-Srinagar in the central Kashmir to Anantnag-Qazigund in the south to Banihal in Jammu region for security reasons in view of an encounter in Kulgam. "The train service was resumed early this morning on both the routes. But we received instructions to again suspend the service via South Kashmir following an encounter in Kulgam," a senior Railway official told. He said in the morning, one train was able to run on Srinagar-Banihal track. However, he said the train service was again suspended for security reasons after a fresh advisory was received from authorities. But, he said trains will chug between Srinagar-Badgam in central Kashmir and Baramulla in the north through the frequency of the trains will be less following repair work on the track. On Thursday and Friday, train service remained suspended due to heavy to very snowfall which had frozen due to subzero temperature. However, the railway official said two trains operated between Baramulla-Srinagar and Banihal on Thursday before heavy snowfall forced suspension of the service. The service remained suspended on Saturday in view of a strike called by separatists on the sixth death anniversary of Parliament attack convict Mohammad Afzal Guru, who was hanged in Delhi’s Tihar jail on February 9, 2013. Train service has become very popular in the valley as it is being considered safe, fast and economical against other modes of transport.